With all of the media surrounding the sports scandal involving FIFA, the famous soccer association, revolving around how Qatar won the bid to host the 2022 World Cup. Apparently, Qatar has never had a history with soccer, including not even having a team representing the country. As soon as the bids and winners were presented, Qatar went ahead and started building the necessary stadiums to house the cup. However, the controversy surrounds the cruel methods they are using in the construction, holding men and families hostage and used as slaves. This is another point all on its own. What the fans and people want to know is how a country like Qatar was able to win a bid to such a prestigious sporting event. This is where suspicion of corruption began to grow. Since then, a witness has come forward and 7 official have been arrested in Switzerland. Switzerland has agreed to extradite the men to the US, where FBI director James B Comey is in charge of the investigation. 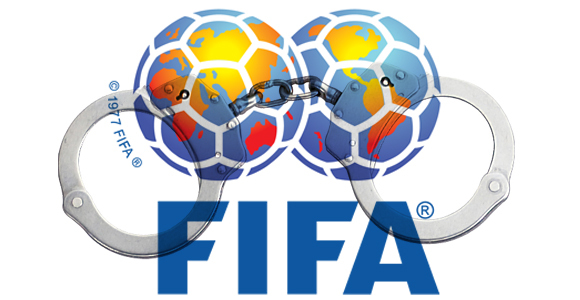 It is speculated that the arrest of these men is a tactic to get them to roll on the current FIFA president Sepp Blatter. Hopefully this will be the first step in correcting the mistake of giving the bid to Qatar, and stopping the inhumane treatment of the workers in the country. It is a good day for sports fans that despise the actions of the corrupt. Stay up to date with all of the details here.